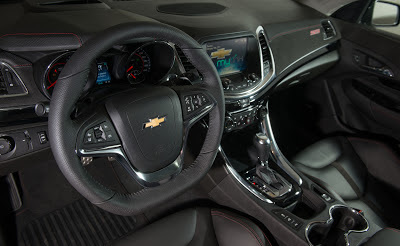 DAYTONA, Fla. – As Chevrolet’s first V-8, rear-wheel-drive performance sedan since 1996, the new Chevrolet SS is designed to deliver performance on the street and on the track. The 2014 Chevrolet SS will debut this weekend at the Daytona International Speedway as the SS racecar makes its NASCAR debut during the Daytona 500. 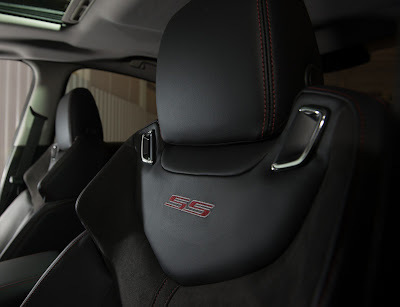 The Chevrolet SS benefits from the proven, race-tested, global rear-wheel drive architecture that is the foundation for the Camaro, Caprice Police Patrol Vehicle and Holden’s VF Commodore. The Chevrolet SS is powered by the LS3 Chevrolet V-8, expected to deliver 415 horsepower and 415 lb-ft of torque. Also used in the 2013 Chevrolet Corvette, the LS3 displaces 6.2 liters, more than the 5.5-liter V-8 powering the Chevrolet SS NASCAR competitors. The LS3 is married to a six-speed automatic transmission, which can be shifted manually using TAPshift paddles mounted on the steering wheel. With an aggressive 3.27 final-drive ratio, the Chevrolet SS accelerates from 0 to 60 mph in about five seconds – making it one of the quickest sedans on the market. Handling is also improved by a near 50/50 weight distribution, and a low center of gravity – made possible in part by the aluminum hood and rear deck lid that are 30 percent lighter than traditional steel panels. Similarly, the design of the SS blends performance cues and premium details. The staggered front and rear wheels, which are pushed out to the corners, enhance the sporting, muscular stance of the SS. Up front, the aluminum hood features a subtle “power bulge” hinting at the power of the engine underneath. At the rear, the tapered, tear-drop shape contributes to improved aerodynamic performance. Premium cues include jewel-like chrome accents, standard high-intensity discharge headlamps and light-emitting diode daytime running lights. The spacious interior of the SS will comfortably accommodate five adults, with 42 inches of front legroom, and 39 inches of rear legroom. Leather seating surfaces are standard, as are eight-way power adjustable front bucket seats with additional side bolstering that hug the driver and front passenger in tight-handling situations. The SS emblem is prominently stitched onto the soft-touch instrument panel which features two types of chrome finishes – a satin gloss and a bright chrome. At night, the interior is illuminated by ice blue ambient lighting. The SS is also the first Chevrolet to offer Automatic Parking Assist, which provides hands-free parking help. This efficient ‘hands-free’ parking assistant uses the ultrasonic sensing system to detect the width and depth of either parallel or reverse right-angle parking spaces. 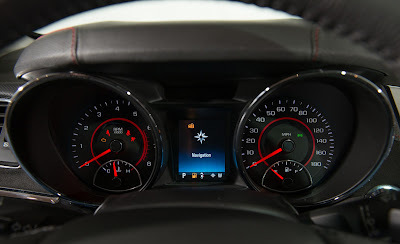 While the driver controls the throttle, transmission, and brake, the Automatic Parking Assist controls the steering inputs necessary to neatly park the Chevrolet SS. The 2014 Chevrolet SS will be available in the fourth quarter of 2013, with prices set closer to the on-sale date. 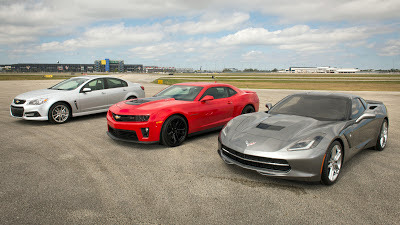 When it arrives in showrooms, the SS will join the Corvette and Camaro, whose combined sales have made Chevrolet America’s favorite performance brand for the last two years.